Alton – View from Mt Major looking towards Alton Bay Route 11 A about five miles north of Alton Bay (close to Ellacoya State Beach) highway sign marks parking lot. Popular hiking spot due to spectacular views. 2 – mile, vertical rise 100 feet. The Mt Major trail marked in blue, straight ahead of the parking lot is the most popular trail used by visitors. It offers a challenging hike, as well as view spots, and ledges. Just a note for the weary, when you hit the pine groves above the first set of ledges, you aren’t there yet. 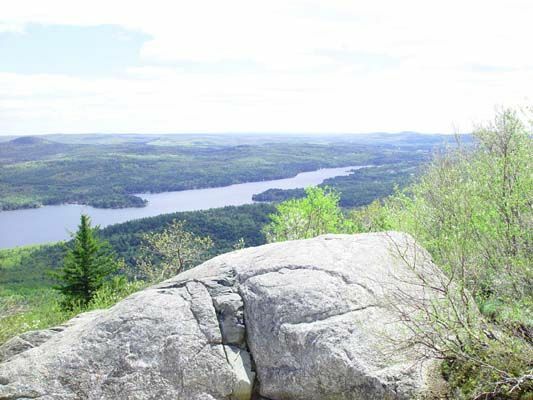 The 2nd set of ledges are much tougher, but the view when reaching the summit I feel is 2nd to non in the Lakes Region. Mt major is popular for runners, and hikers training for the big ones. You can head up the moutain with as little as a bottle of water or pack a lunch for the day and enjoy the many trails associated with Mt Major. Carful after a rain, the rocks tend to get slippery and without the right shoes can be quite dangerous. Hope to see you there on the weekends, great family fun, and NH at it’s best. Association- Trailhead off College Road, Center Harbor West Rattlesnake Mountain – Rt. 113 Holderness –– Trailheads off Rt. 113- approx. 5 miles from downtown Holderness on right, (after Rockywold Deephaven Camps sign) park on left. Short and Easy Climb, spectacular views. Use caution with children. Steep cliffs at summit. Gunstock Recreation Area – Gilford. Four season recreation area on Route 11 in Gilford. It includes a major downhill ski/tubing area on Mount Rowe and Gunstock Mountain, a 420-site campground, summer mountain Sports Park (skateboard, mountain board, mountain bike and a cross-country skiing area. A map of hiking and mountain biking trails is available at the Base Lodge. Lockes Hill Trails Located on Route 11, 1-1/4 miles from Sawyer’s Dairy Bar Inside the parking area there is a trail guide that maps out the trail. The trail is a loop that can be accessed from the “Quarry Trail” to the left of the trail guide, and the “Lakeview Trail” to the right. The “Quarry Trail” is moderate to steep and should take hikers approximately 45 minutes to reach the top. The beginning of the accent is very easy with good footing – a nice walk in the woods. The accent becomes somewhat steeper as you approach the top, but still not strenuous. Views from the trail overlook the Laconia Airport and as you reach the top of the loop there are several offshoot trails to view Winnipesaukee and other lakes in the region. The descent on the “Lakeview Trail” is much steeper but less rocky than the “Quarry Trail” . The trails are located in the “Kimball Wildlife Forest” which is also home to the historic “Kimball Castle”. There are 15 trail markers along the route, each describing the different wildlife and habitats of the forest. West Rattlesnake Mountain – Rt. 113 Holderness –– Trailheads off Rt. 113- approx. 5 miles from downtown Holderness on right, (after Rockywold Deephaven Camps sign) park on left. Short and Easy Climb, spectacular views. Use caution with children. Steep cliffs at summit. 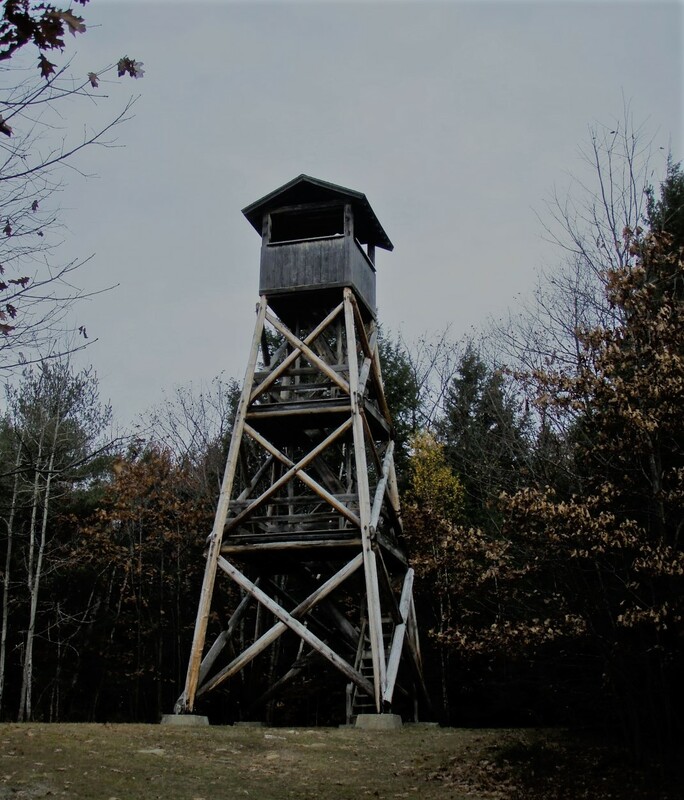 Red Hill – Moultonborough (elevation 2,029 feet) Fire tower run by town of Moultonborough Fire Department. Bean Road in Center Harbor 1.4 miles to Shibley Road (fire tower sign) to parking lot with gated access road. Distance to tower 1.7 miles. Loop Trail is a 3.3 mile moderately traveled. Trail is part of the Lakes Region Conservation Trust network. Dogs leashed at all times. Abenaki Tower – Wolfeboro Route 109 in Tuftonboro. 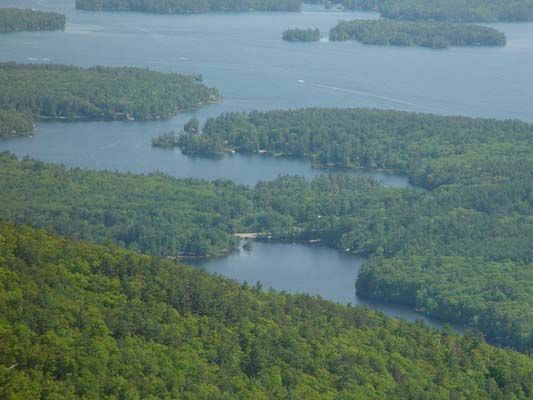 A 5-minute walk from the parking area to an 80’ tower overlooking Lake Winnipesaukee and the Ossipee Mountains. Parking area and trailhead are located on Rt. 109 in Tuftonboro, NH, 0.9 miles south of its junction with Rt. 109A. The large parking area is on the east side of the road and is well signed. Ossipee Mountains – Bald Peak – Tuftonboro. Trail access from Castle in the Clouds offering a variety of difficulty levels for hiking as well. Russell C. Chase Bridge Falls Path – behind the Railroad Station is a half-mile path from downtown to the Wolfeboro Falls Area.